As a Black female entrepreneur, I can relate to what it’s like when you haven’t been taught to play big in business or exposed to wealth and entrepreneurship. Sometimes you feel left in the dark about what money moves will shift your small-time hustle to big dough and big business. Everything in you tells you that your story, your passion, your purpose is great, but breakthrough success can seem elusive and far away. Dreaming big isn’t always enough – you need a tangible understanding of stages of business growth and strategies to move through those stages. If you’re running a small operation where you want to take your small monthly sales to big-time profits, consider making a few of the changes I suggest below. There is value in being on the grind to sell your product and service at fairs and out of your garage. However, you are just one person with one set of hands and you can only be in one place at a time. One way to play big is to hire a sales team that gets paid to sell your products and make you money. Imagine moving from making a sale a day in your bookkeeping firm to being hired by 5 new clients a day because you have 2 sales people on the grind. build a sales funnel, set up a customer relationship management (CRM) system, and a develop sales presentations and scripts. Then build a job description and posting for your sales team. Direct sales, selling your products directly to the customer, gives you a ton of control over the pricing, customer relationships, and the entire sales process. This approach also allows you to hear directly from the client – which is key to your ability to make impactful and rapid improvements to your offer. But again, if you’ve iterated on your product and you’re ready to get it in front of more audiences, channel sales is an important transition to consider in your business model. Channel sales are basically selling your product through a third party – like a retail store or an affiliate. It’s often less expensive to run a sales system this way, although you are often sharing the profit with the third party. If you are selling enough, though, the benefits should outweigh the sacrifice. Imagine quadrupling sales by running an affiliate program with 20 affiliates who bring you monthly sales and take a small percentage per widget. How to get started: build an affiliate program or a retail pitch plan and identify a list of possible 3rd party sellers. You, alone, can only do but so much. I know I sound like a broken record but it’s a central thought to this idea of playing big. Hiring a team to sell, produce, or deliver your product or service, can help you serve more people faster. Now. Running a team is no joke, so know that you have to invest in building your capacity to lead and manage a team effectively. You also need to have the tools and systems to recruit, select, onboard, and develop your talent effectively as well. Once you have these things running relatively smoothly, a first-rate in-house team can help your business skyrocket. This will cost you significantly, so be sure to weigh your options. Imagine having 5 people who produce and deliver your project so that you can be out expanding the business, securing larger deals or just being in whatever the part of the business doing what you love most. How to get started: create an organizational chart, job descriptions and a growth plan that includes new hires in alignment with revenues. Selling to individual customers can be a great business model for small business, but sometimes going big means you create opportunities to sell to organizations or businesses. Government and corporate clients often have budgets for larger purchases and can take you from small pennies to big bucks per transaction. You can often sell larger, bulk quantities and versions of your product or service that individual customers don’t need or can’t afford. Picture your individual coaching service transforming into a training program for an entire department, or imagine your skincare products in Macy’s or in a chain of salons, versus grinding at local fairs and selling on Facebook client by client. How to get started: create a proposal or pitch plan and identify a list of corporations and businesses that need your services. Network and build relationships with decision-makers in the businesses on your list. If you are a creative or professional working with small businesses or individuals, consider what it would mean to take your work to big government contracts. Get certified as a minority and women-owned business and go for RFP’s with the big guys. You can often team up with bigger businesses with more capacity in order to secure contracts. Imagine shifting from prospects who pay $2500 per transaction for your graphic design services to pursuing government RFP’s for $35,000 and more for public education campaign projects. How to get started: get your business certified at the state and/or federal level and scout Requests for Proposals (RFPs). Network and build relationships to find these connections. Get added to lists and directories for certified, qualified businesses. Attend all city and state information sessions about RFPs in school districts, airports, city departments and more. Sometimes we get comfortable with selling in Facebook groups and in our own community. Making an intentional effort to join tribes outside of our “normal” is important. If you are seeing the same faces and pitching to the same groups, you’ll max out the lead generation potential in that space eventually and probably pretty quickly. Go! But don’t just go anywhere. Challenge yourself to find access to groups and individuals that might seem out of your league or cut from a different cloth. You can learn so much, expand your horizons, and make more money. How to get started: book an event a week (at minimum) with a group of people and a tribe you are not connected to. Begin to identify and establish relationships and partnership opportunities. These are the types of money moves that SistahLeads helps sistahpreneurs think through. 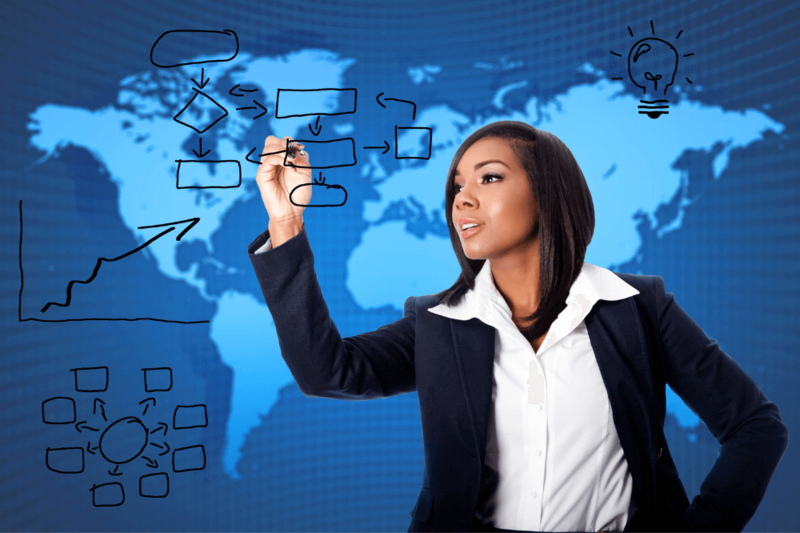 SistahLeads is a leads group program and sales mastermind for Black female entrepreneurs. To learn more, visit www.sistah.biz/leads-groups/. Ultimately, playing big means finding ways to multiply your reach and revenues. It means building a business structure that operates without you making every product or delivery every service yourself. Do you have tips for how we can play big? Share in the comments below! I love this thought process. We are small roofing contractor with 20 years history that mostly does residential work. Wanting to move nto the commercial work and also bring on sales team. I have taken notes and will put into practice. We’re glad you found the blog useful! Be sure to stay connected with our leads group for government contracting and consulting. We’ll be starting monthly calls in April to share RFPs. Do you provide business consultation?